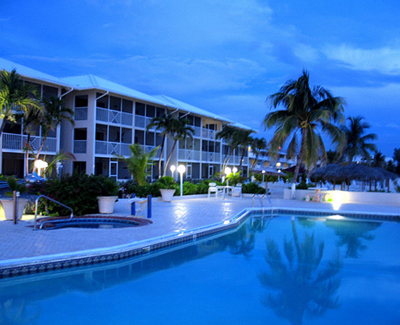 You'll love the homey feel of this comfortable getaway, all wrapped up in sensuous ocean views and a lovely stretch of Seven Mile Beach. Find your own quiet, very comfortable corner of the Caribbean at this relaxed and inviting getaway snuggled onto an unspoiled slice of northern Seven Mile Beach. You can't get much closer to the sea--just a few steps out your door, and you'll have sand between your toes and a smile in your heart. But the best part is the home-away-from-home feeling you'll have when you've settled into your light and airy two-bedroom, two-bath condo with its fully equipped kitchen and private, screened-in patio or balcony. There's plenty of room to spread out, so bring the kids or your favorite friends for some beachcombing, swimming with stingrays, superb island golf, trail riding on the beach, sailing, diving, or just plain decompressing. In the evenings, there are dozens of nearby restaurants to choose from, with everything from casual beach grilles dishing up conch and curried goat to gourmet restaurants serving pheasant and foie gras. And best yet, if you just want a romantic week away for the two of you, you can book your unit as a very private one-bedroom, one-bath hideaway, so you can cuddle to the sounds of lapping waves.